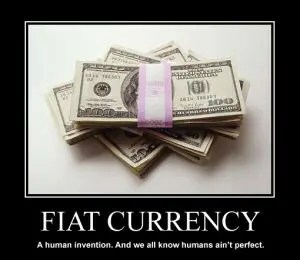 "The term ?safe' fiat currency is as intellectually disingenuous as terms like ?fair' tax or government 'innovation' but, as we've been exploring recently why modern central banking is completely dysfunctional, it does beg the question? is any currency ?safe'? Let's look at the numbers for some data-driven analysis." "What Makes a 'Safe' Currency? A nation's currency is issued by its central bank and a central bank is structured like any other bank? it has assets and liabilities. On the asset side of the balance sheet are things like government bonds and gold….Its liabilities include the nation's money supply, technically known as central bank ?notes'. Look at those US dollars, Canadian dollars, British pounds, etc. in your wallet. You'll see they're actually ?notes' issued by the central bank, i.e. liabilities. 1. A Central Bank's capital ratio: Just like any other bank, healthy central banks hold portfolios of high quality assets and those assets should exceed liabilities by a substantial margin. This is known as a bank's capital ratio, and it represents a bank's margin of safety in the event of a crisis. Consequently, ?safe' currencies are issued by well-capitalized central banks with a high capital ratio. 2. A government's balance sheet: It's also critical to check the government's balance sheet [because] central banks that get in trouble will require a government (i.e. taxpayer) bailout and heavily indebted governments won't have the ability to do this. [The two points above] automatically eliminate the U.S. dollar because the Federal Reserve's capital ratio is a laughable 1.53% and, since the U.S. government's debt is nearly $17 trillion, there's no chance Uncle Sam can bail out the Fed. This reasoning also eliminates the British pound, euro, and yen. Even the Canadian dollar is not in good shape given the country's debt level and the razor-thin capital (0.53%) at the Bank of Canada. Singapore is an interesting case. In its just-published annual report, the Monetary Authority of Singapore announced that it lost $8 billion last year trying to keep its currency depressed against the US dollar. This is astounding? and suggests more than anything that this absurd dollar-centric fiat system is on the way out. Singapore's central bank balance sheet is still in much better condition than the West with a 7.2% capital ratio and the government there has zero net debt, so the Singapore dollar is far safer than the dollar or euro. Looking at the numbers, the answer is simple. It's the Norwegian krone. Norway's central bank, which issues the krone, has among the highest capital ratios of any central bank in the world at 23.3%. The krone is not pegged to any other currency, so it can't be dragged down with a sinking ship. In a paper currency system controlled by a tiny banking elite, the Norwegian krone is as ?low risk' as it gets. (Bear in mind, however, that this analysis does not suggest that the Norwegian krone is ideal for speculation or investment gain? but rather the fiat currency with the sturdiest fundamentals in the event of a global crisis.)" This article suggests that the Australian and Canadian dollars, and the British pound Sterling, can expect to decline significantly relative to the U.S. dollar in the months ahead and gold to decline even further relative to industrial commodity prices. Here's why. It's common for the world's most powerful country to issue a currency that becomes adopted around the world as the standard for international trade but whenever that country reaches a point of epic, terminal decline, and especially when it rapidly debases its currency, the rest of the world seeks an alternative. This article outlines the history of the rise & fall of "world" currencies over the centuries and then comments on what the future likely holds for today's "world" currency - the U.S. dollar. The U.S. Dollar's status as a reserve currency seems to be a perennial concern for many people these days. I think this concern is often dramatically overstated. Here's why. The post Which Is the World's "Safest" Major Currency? You'll Be Surprised (80K Reads!) appeared first on munKNEE.com.